On twitter, actress Roseanne Barr compared former Obama adviser Valerie Jarrett to an ape. She then gave an half-hearted apology and deleted her tweet, saying she was leaving twitter. White racists have always made comparisons of black people to apes. "Planet of the Apes" is a particularly popular metaphor when used to refer to black people. I've seen that one used by numerous bigots over the years. The thing about the phrase is that the person using it is basically waving a flag saying "I'm a racist!". It expresses the essence of white supremacy, the belief and practice that the black person isn't fully human. This is what allows people to justify slavery, police brutality, segregation, exploitation, and murder. If Black people are not human but instead a subhuman primate of some kind then obviously normal human morality does not apply to whites' interactions with Blacks. Roseanne Barr, one of ABC's biggest stars, apologized after a bizarre, racist Twitter rant Tuesday morning, and then announced she's "now leaving Twitter." Following the rant, one of the show's consulting producers, Wanda Sykes, said she's done with the show. "I will not be returning to @RoseanneOnABC," Sykes tweeted. Barr was responding to a comment about Valerie Jarrett, a top former aide to President Obama. CNN reporter Andrew Kaczynski responded to Roseanne on Twitter about the Jarrett comment, which she replied was "a joke." Barr later deleted the tweet and tweeted an apology to Jarrett and "all Americans." "I am truly sorry for making a bad joke about her politics and her looks," Barr tweeted. "I should have known better. Forgive me-my joke was in bad taste." Barr then said she's leaving Twitter. Jarrett declined to comment. Sometimes people accidentally or purposely drop their mask and show you who they are. Barr did that with this latest schtick though really she's been doing that for years. This isn't the first time Barr has made ape remarks about Black people. I don't think anyone can really be surprised by this. 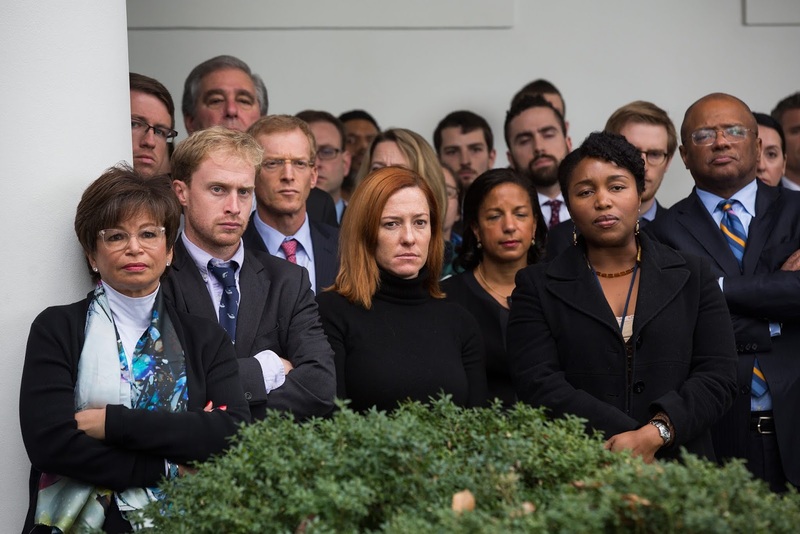 A racist white person looks at Valerie Jarrett or any Black person and sees her not as an individual but as an ape. Former President Obama of course attracted similar vitriol from the same kind of people. This is an excellent reminder that an animating element of conservative grievance and politics is white supremacy. Always has been. Certain people are angry that Black people are breathing in America. They are angry at black success or competence. To their mind, if any Black person anywhere is doing well, then something has obviously gone drastically wrong. I'm glad to see that ABC did the right thing by telling Barr to take a hike. It's humorous to me that ABC's entertainment President and thus Barr's boss, is a Black woman. Talk about instant karma! As others have pointed out Black media figures who have said far less ugly things have been transferred to less public roles or fired. Barr's not making jokes. She's not criticizing policy or personality. She is standing hand in hand with the people who showed up to hurl similar insults at Black people trying to go to an integrated school or ride in the front of a bus or use a bathroom in peace. Calling Black people apes and Black women masculine is a very old justification for racism. I've noted in the past that some Trump voters can be, politically at least, reached. 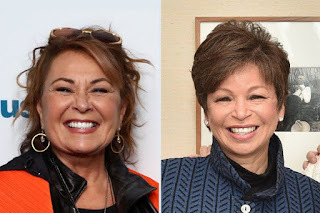 But then there are the Roseanne Barrs of the world. They are the ugly core of Trump's base. They can't be reasoned with or reached. They are lost in a toxic brew of white supremacy. And that's where they want to stay. It's pointless to talk to such people. My only hope is that they die off soon. Can Trump Voters Be Reached?